HAPPY Monday everyone! I get this glorious day off because of Presidents day and I could not be happier to have a three day weekend! Today I wanted to give a shout out and brag a little on my sis Liz. Growing up in a big family you become closer to some of your siblings because of the age range difference. I absolutely love to death everyone of my siblings and could talk about them all day long but my sister Liz was close to my age and so we did a lot together. Even today with her three kids later we try to hangout as much as we can. She is a super mom and home maker! I have rarely seen someone who is so loving and patient with her kids even when things seem to be spiraling out of control. And if your a mom you probably can understand having those type of days! She is the type of sister you can always call up if your having a rough day or just want to chat for a bit. Also she is one of the hardest workers I know. Stay at home mom(and you can't convince me that is not work), has an in home business on the side and also works for family a family member a couple days a week. I admire and look up to her in so many ways. One day when I am a mom I hope I can show my kids and husband as much love as she does. 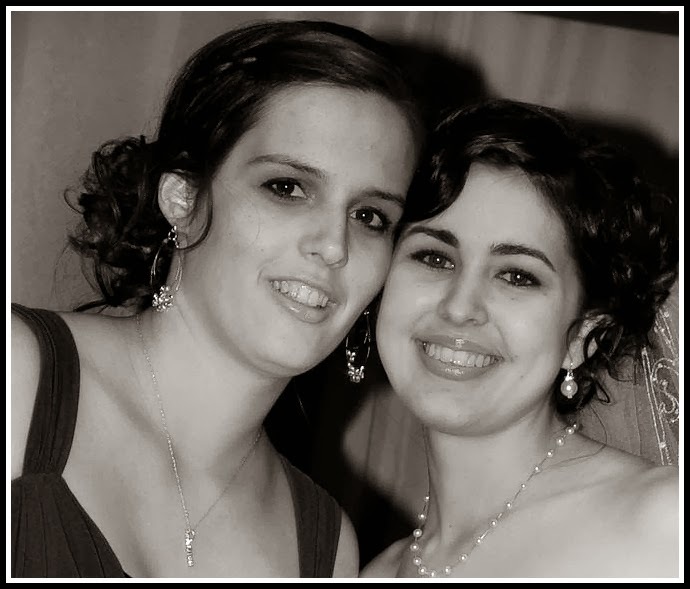 Love you my beautiful sister! Hope you all have a great Monday and remember comment below if you want to brag about someone you know!